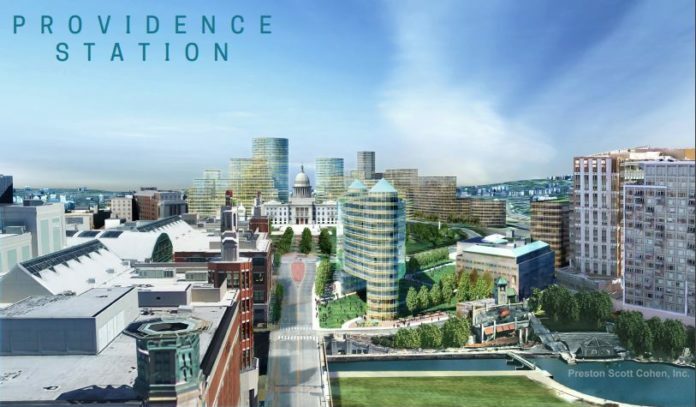 THE R.I. COMMERCE CORP. added new renderings for potential Amazon HQ2 sites to its pitch website as well as local business leaders' testimonials on the state. Details of Rhode Island's offer to Amazon were not disclosed. / COURTESY R.I. COMMERCE CORP./PRESTON SCOTT COHEN INC.